Rick Perry wants Texas to reject Obamacare’s expansion of Medicaid, even though it’d bring health insurance to several million people. But plenty of Texans disagree. And some of that have a lot of influence. As Jay Hancock reports today at Kaiser Health News, two groups of powerful interests are preparing to pressure Perry if, come next year, the state really does decide to opt out of the Medicaid expansion. One group is the hospitals that, absent the Medicaid expansion, will be bearing the cost of charity care even as they cope with declining revenue from other resources. The other group is private insurers, who see the growing Medicaid population as a huge profit opportunity and have been investing large amounts of money to prepare for it. Founded in the mid-1990s in Virginia Beach, Va., Amerigroup contracts with 13 states to manage Medicaid care, generally for a fixed fee per member. Now grown to Fortune 500 size, the company had twice as many Texas members last year —632,000— as in any other state. Amerigroup and merger partner WellPoint both have strong ties to Texas politicians. 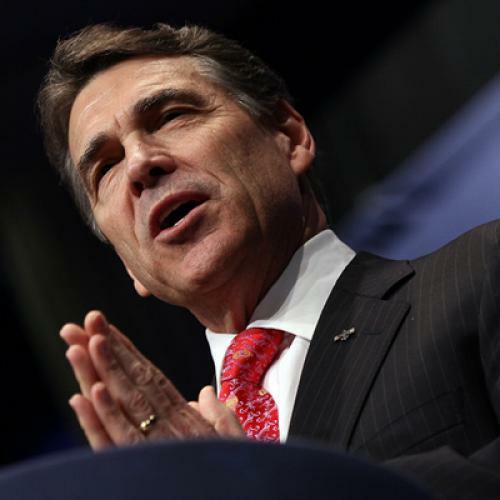 Amerigroup’s Texas political action committee donated $20,000 to Perry's 2010 gubernatorial campaign, has given thousands more to numerous legislators and had $89,000 in the bank as of June 25, public records show. Two years ago Amerigroup’s foundation presented its “Champion for Children” award to Texas Sen. Judith Zaffirini, a Democrat from Laredo who sits in the senate’s Medicaid subcommittee. But I do think it’s a reminder that, to some extent, what you’re hearing from conservative governors right now is bluster. And while advocacy groups like hospitals and insurers haven’t complained that loudly yet, that’s partly because they’re waiting for November; they see now point in lobbying now, and making some enemies, as long as there’s a chance Republicans will win the election and successfully repeal the Affordable Care Act. That’s not to say that the advocates for low-income people slated to get Medicaid should keep quiet, as well. I remain convinced that most states will choose to participate in the Medicaid expansion before January 1, 2014, and that the holdouts will come within a few years after that. But I'm confident of that only because I’m confident that politicians will feel political pressure to do so—and progressives must do their part to create it. Update: Not sure how I missed this, but Sarah Kliff has a terrific item breaking down what the Medicaid expansion would mean for one Southern state: Arkansas. It turns out the expansion would add money to the state treasury for the first few years. After that, it would pose a net cost, but only a tiny one. h/t Kevin Drum has more discussion of that item, and this issue generally.